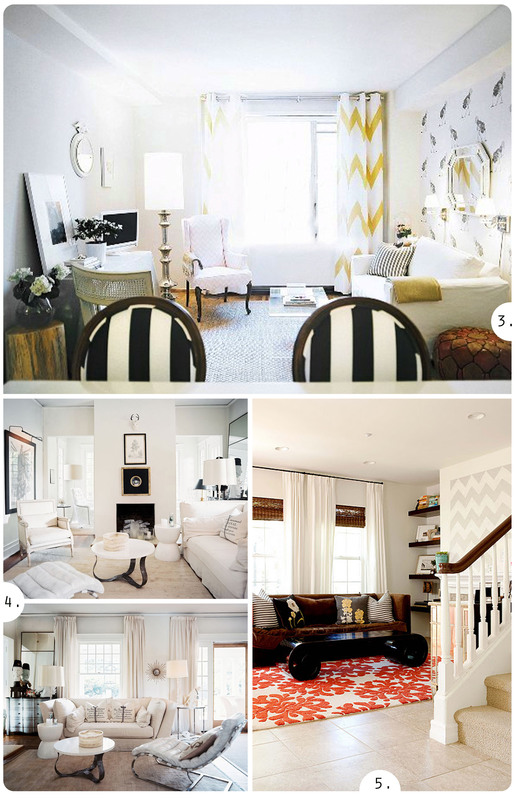 White Wall Challenge: How to use art and design to make a home. As you may have seen in my posts last week, we’re in the middle of a move! It’s all very exciting and wonderful… but there is one downside. White walls. You see, we’re going to be renting an apartment for a few months, and while it is very nice and lovely, it is all white. And I’m more of a color-loving (or at least neutral tones) kind of girl. Thankfully, there are so many beautiful things you can do with white walls. Suddenly all the details matter and art and design become even more important. I’m so excited to see what we come up with! Stay tuned for up-coming photos! These images are rooms that have really inspired me. They each use art and other meaningful elements to create a cozy, stylish, beautiful, and landlord friendly spaces. If you have any good renter decorating tips please share! I want our new space to feel like home. In some spaces that takes more work than in others, but it’s worth it. 3) interior Oh goodness I am in love with this room design by Michelle Adams. It is such a practical example of how to take a not-so-exciting spaces and make them be-a-utiful! The neutral color scheme with spots of black and yellow are great design choices. When you are overcome with whiteness and are aching for a little something colorful, a stunningly colorful carpet might be the perfect answer! It works beautifully in this room, as do the other cozy, comfortable, yet stylish elements. This Living room was designed by (and belongs to) Nicole Davis of Me oh My lifestyle blog. Previous Post Previous post: The Hummingbird Logo: How the side of a building becomes amazing. OMW, I was just browsing through the blog again (you know, just checking to make sure everything is working right…) and I was, again, stunned my the amazingness of these rooms. xox!